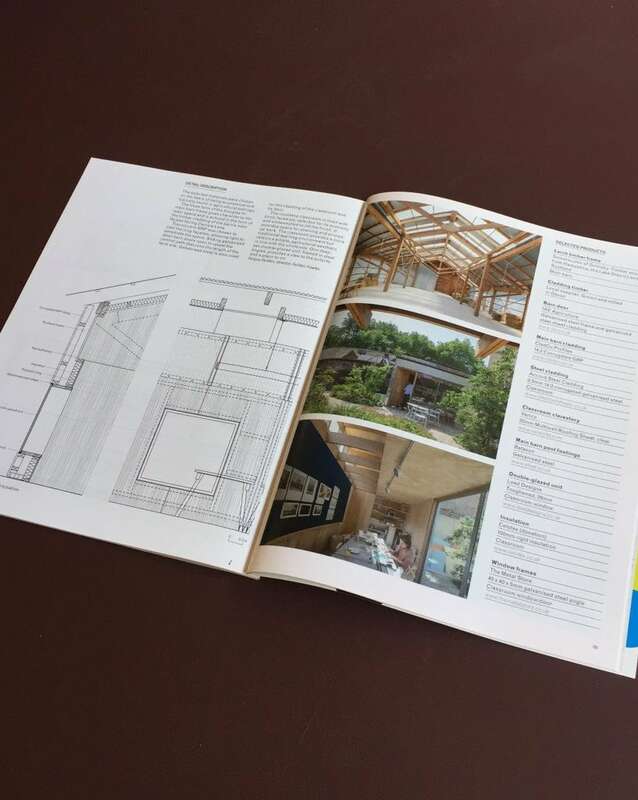 Details of Waterloo City Farm are featured in the AJ Specification this week alongside some great new photography of the farm. 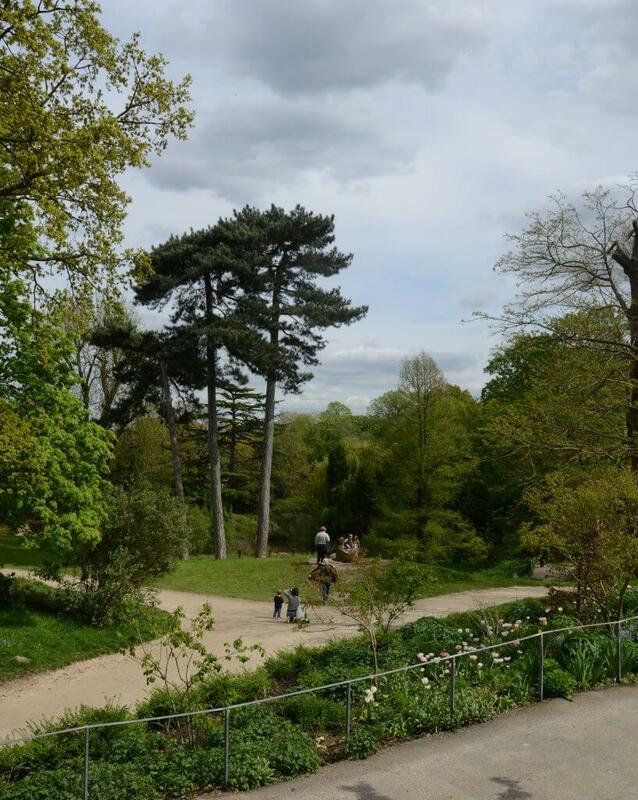 More details on the latest addition to the evolving site – the Garden Room – will follow later this month. 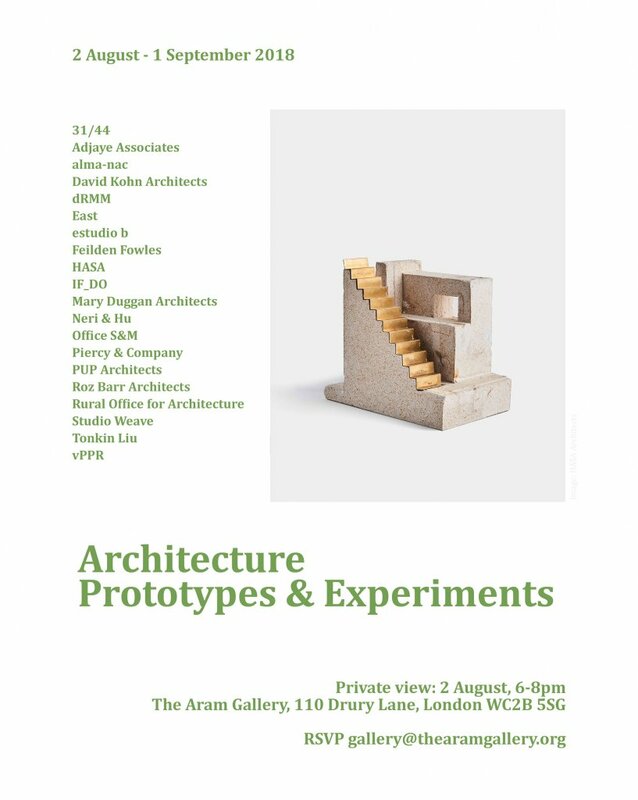 Feilden Fowles will be taking part in the Architecture Prototypes & Experiments exhibition at the Aram Gallery this summer! This is a great opportunity to join the practice and will be a rewarding position, working alongside a number of exciting projects and design teams. If you feel you have the relevant experience to fit this position, we would love to hear from you. Details of the position are noted below. To apply for the role please email your CV and covering letter to work@feildenfowles.co.uk by 10th August. 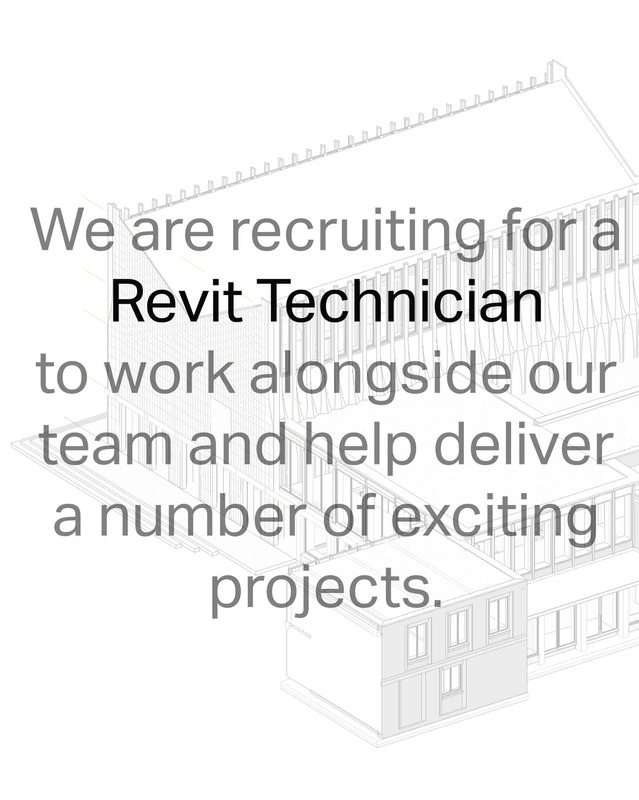 Feilden Fowles are seeking a Revit Technician to assist with the implementation of Revit across projects of stages 1-5. The position requires proficiency in Revit along with knowledge of BIM Level 2. The role will require competency developing BIM protocols and procedures specific to Feilden Fowles. • Assisting team members on projects and supplying the support required. Planning approved for Pinewood School! Pinewood School embodies our values for education; that spaces for learning should be aspirational and uplifting. The Middle School Teaching and Learning Centre comprises six new classrooms and a learning resource space available to the whole school. 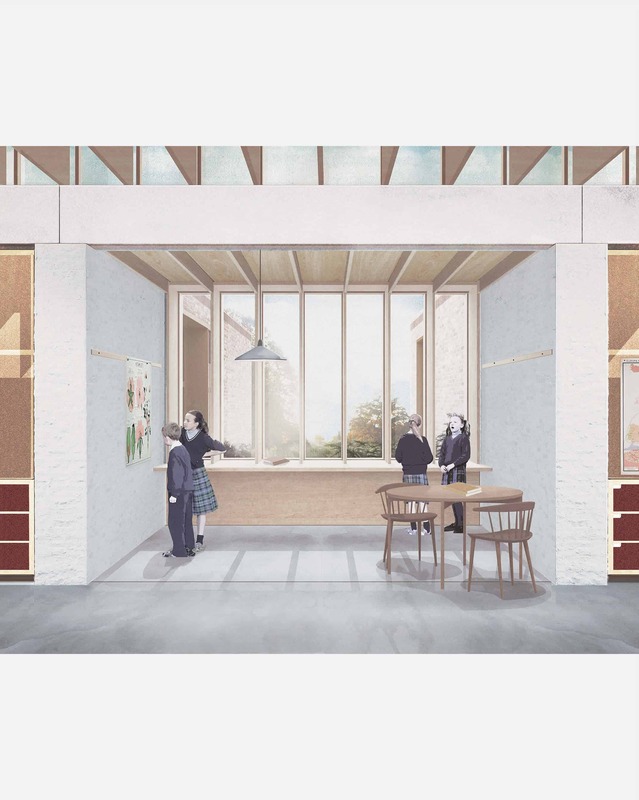 The proposal is more than a set of traditional teaching spaces; the design strives to inspire children to discover the excitement of learning through both formal teaching and informal exploration. We’re delighted that Waterloo City Farm has been commended for the The Mayor’s Prize at the NLA Awards yesterday. Since its inception in 2014, the project has become an important part of our community; welcoming not only school pupils during the week but also hosting support networks, rehabilitation groups, local residents and Young Farmers. Its contribution has become more than the sum of its parts and demonstrates the positive impact a meanwhile use can have. Below are more details about the farm’s impact. A big thank you to everyone involved! 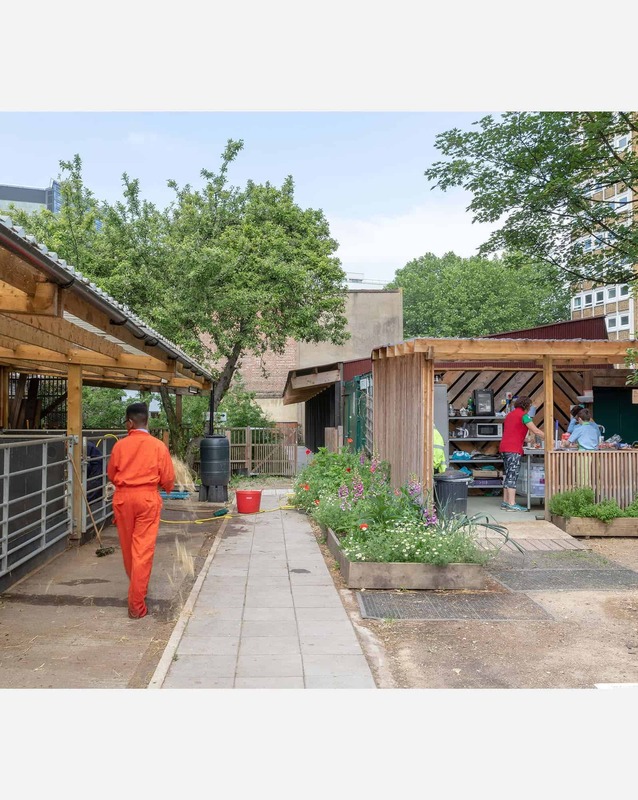 Waterloo City Farm serves the London boroughs of Lambeth and Southwark, the 22nd and 23rd most deprived boroughs in the UK (out of 326), where 59% of children are living in poverty and the unemployment rate is 35% above the London average. 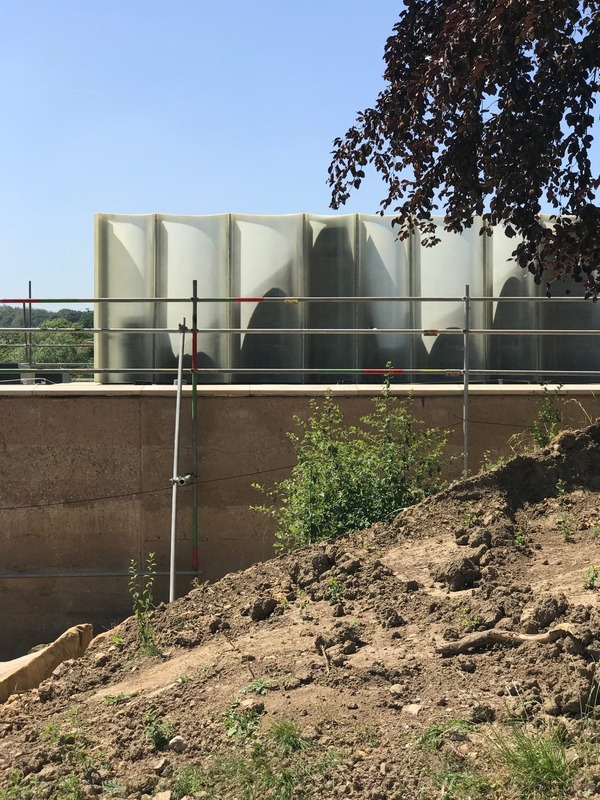 This collaborative project has transformed an overgrown, unsafe and inaccessible site into a safe support network that is embedded within the community. Jamie’s farm transforms the lives of urban children at the risk of exclusion between the ages of 11-16 by offering a unique residential stay on one of the charity’s rural working farms. 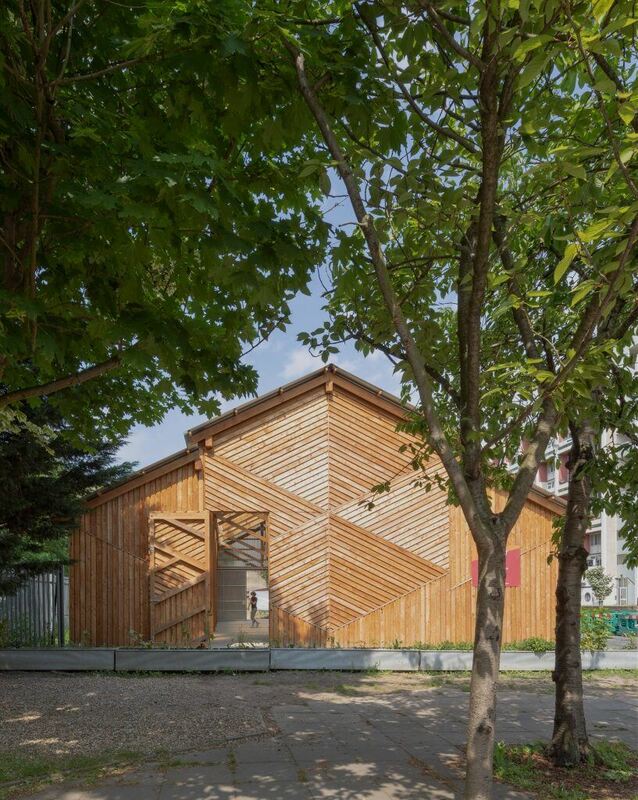 Waterloo City Farm has offered an opportunity to bring Jamie’s work to central London. Pupils from schools run by Oasis regularly visit the farm as a part of their core curriculum. 30% of the students visiting the farm have been at risk of exclusion and, on a six-week follow up, 55% are no longer at risk. The farm has also reported a 79% improvement on the self esteem of those that have visited. 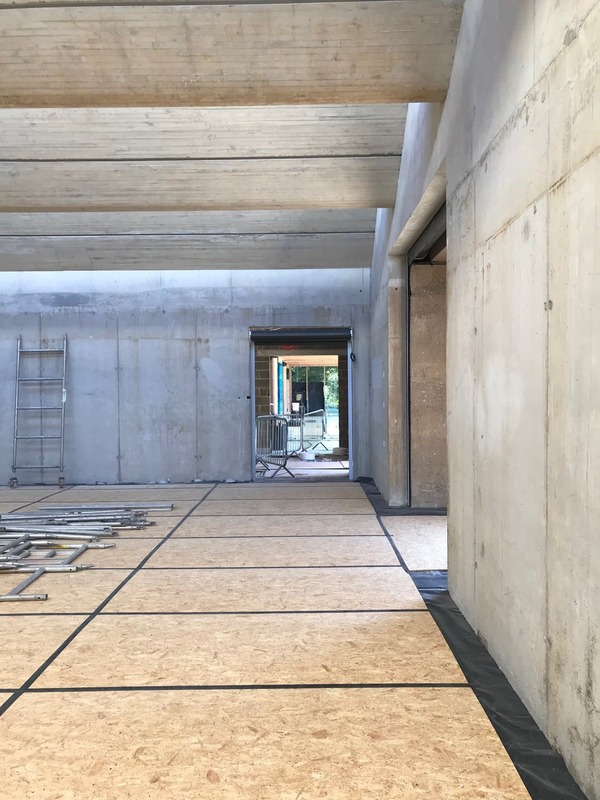 In a city where children often do not have access to outdoor space – gardens, parks, balconies – the farm offers nearly 2000sqm of green and usable space. Activities such as mucking out the animals, propagation, woodwork and craft are offered to all through the introduction of Oasis’ Young Farmers; a free initiative to connect young people and encourage a healthy and more active lifestyle. Through the animals and harvesting fruit and vegetables on site, young people learn where our food comes from and have the opportunity to understand how to cook fresh and healthy food. The site relies on the generosity of volunteers and is instrumental in inter-connecting the diverse community to create a site that is beneficial to all. The site is level access throughout and all walkways have been designed to be wheelchair accessible. Plants are at low level enabling everyone within the community to take part and be socially integrated. For example, a local resident living in temporary accommodation has visited every Saturday for a coffee and company; including on her 70th birthday when she celebrated with the volunteers! The farm offers a variety of types of space – from the large, celebratory barn to the therapeutic and secluded walled garden. They work alongside mental health charities, alcohol rehabilitation groups, amongst others, to provide group sessions and one to one support. It also provides events such as jazz evenings, workshops and Christmas markets, bringing people together and being a welcome centre for the community. So far, approximately 1300 people have attended the events and this number continues to rise. The vision for the farm is to be a support that is embedded in the community and is an inspiration and aspiration for those who visit; the most beautiful city farm in London. 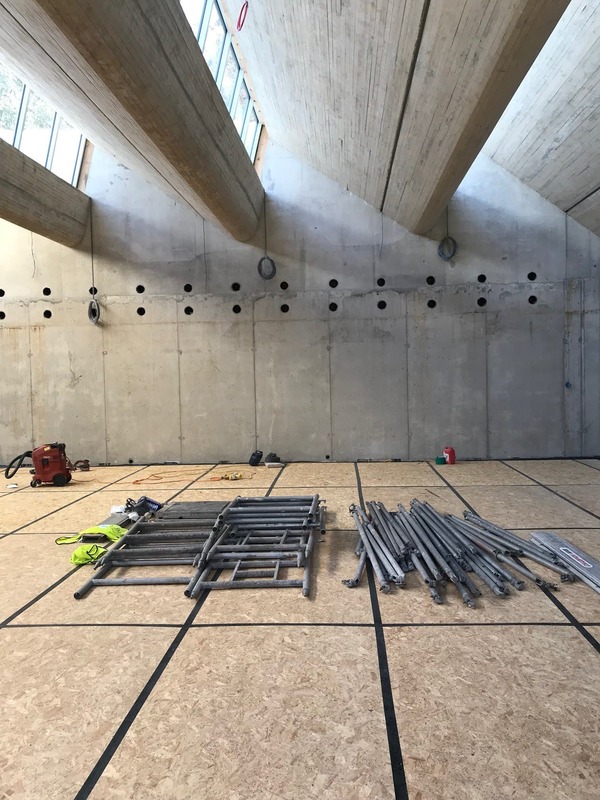 The Homerton College, Cambridge, team have been exploring the richness and variety of faience cladding for the dining hall. 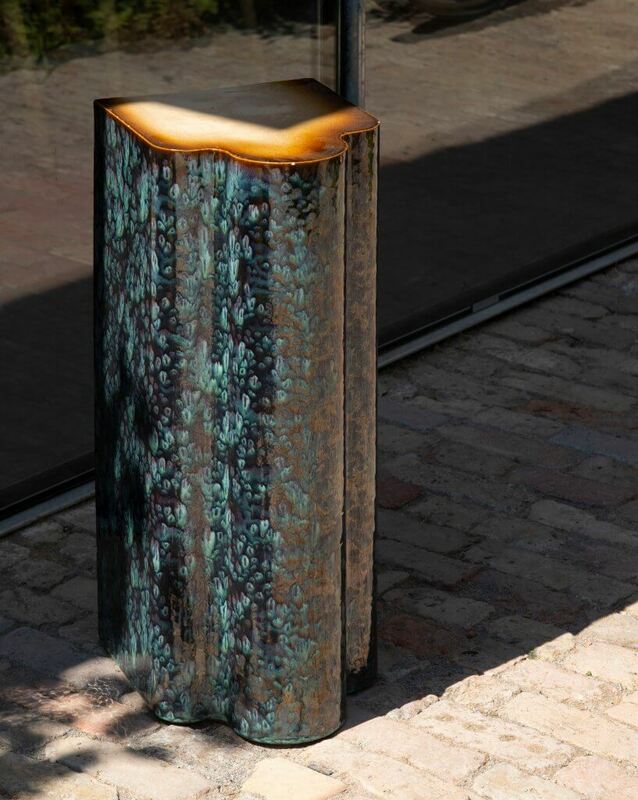 The sunlight is looking great on our recent sample. Find out more about the project here. We’ve had a brilliant day visiting Yorkshire Sculpture Park. 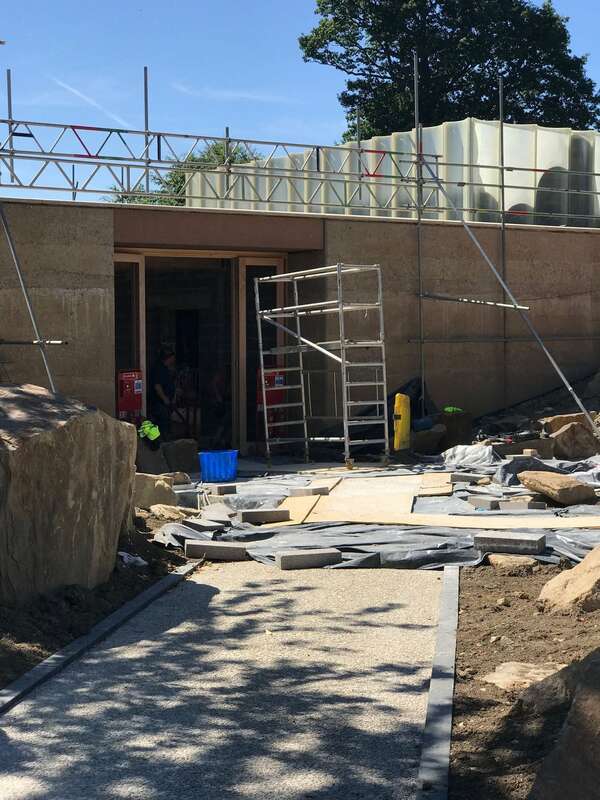 The new gallery and visitor centre is rapidly progressing ahead of its opening in the Autumn! Swipe right for more images. 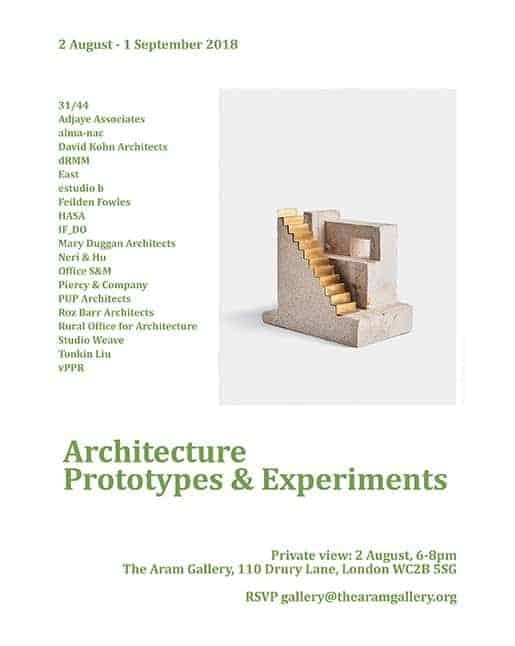 Building on the Studio’s past two years exploring primary and secondary education this year we turn our gaze to some of the oldest institutions in the world, places that become our home for several formative years in the pursuit of ‘higher education’ – Universities. We pose the simple question – how do we build well? The most enduring universities emerged from the building form of Cistercian monasteries such as Le Thoronet Abbey in southern France. Clusters of interconnecting quadrangles at once define a spatial and organisational logic for rooms within a college whilst contributing significantly to cities urban streetscape and civic qualities. The year began with students visiting Oxford and Cambridge and documenting them at the scale of City, College, Building and Detail. During this process we discovered longevity does not necessarily rely upon static and unwavering edifices. As Waugh conjures the provocative image of a building as an almost accidental accumulation of comfort and patina, more grown than conceived. Even the most ancient buildings undergo a process of repair, remaking, or as Ruskin put it ‘changefulness’. The studio went on to visit works by Marie-José Van Hee in Ghent and the serene Roosenberg Abbey by the architect monk Dom Hans van der Laan, before embarking on the main project, to conceive a new University building on range of constrained urban sites in Aldwych for institutions including LSE, Kings College, and The Courtauld to accommodate academic communities and unknown pursuits for centuries to come. Sir Alex Gorden’s popular mantra of the 70’s ‘long life, loose fit’ provoked the studio’s reflection on how buildings might be as generic, flexible and ‘loose fitting’ as possible, inviting the resourcefulness and improvisation of successive generations to impress their own ideals. 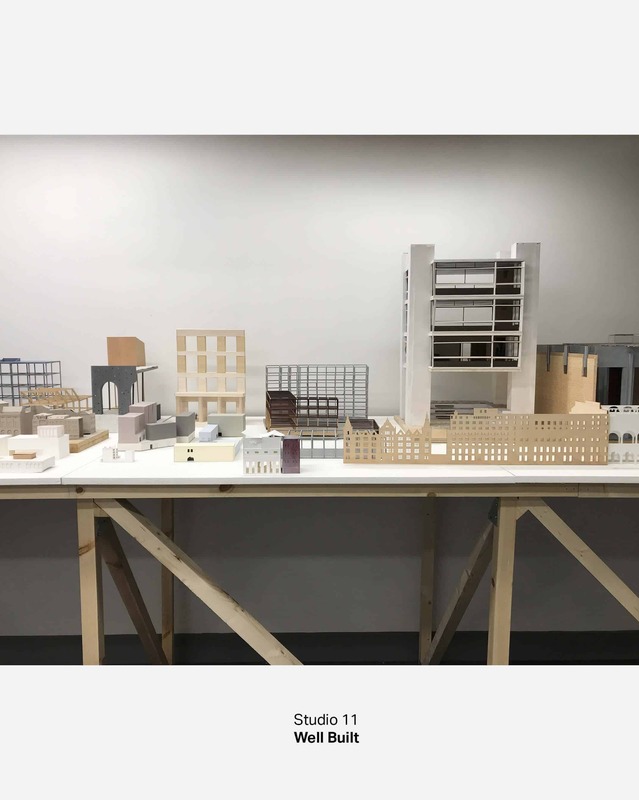 Studio 11 is delighted to present the outcome of these various conversations, insights and explorations, projects promoting values of academic freedom and institutional autonomy; buildings of long life and low specificity, timeless and changeful. The show remains open until 7th July. Capel Manor College in Crystal Palace Park has received funding to go ahead with a £4.9m regeneration project to their south-east London campus specialising in teaching animal care, horticulture, arboriculture and garden design. More updates to follow on our website soon.